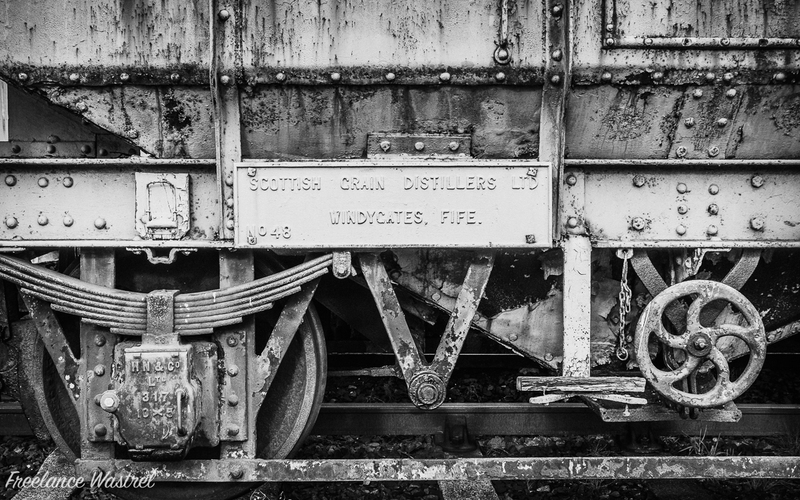 Loved the textures on this railway wagon at the Fife Heritage Railway in Leven today. No.48 was built by Hurst, Nelson and Company Ltd in Motherwell in 1937 to a London Midland & Scottish Railway design and is one of two ex. Scottish Grain Distillers hopper wagons preserved by the Kingdom of Fife Railway Preservation Society.